Bring your products to the people! 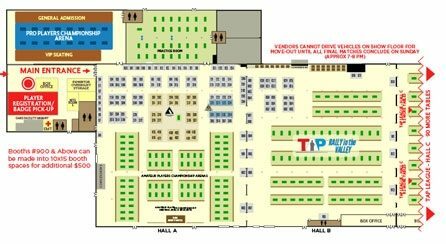 The Super Billiards Expo has earned its reputation as the largest consumer-oriented tradeshow in the industry by continually uniting the finest manufacturers, retailers, and custom cue makers in the billiards world with the fans, professionals, merchants, and the buying public. Our idea to unite the industry directly with the customers, fans, and players - amateur and professional - has created a show unlike any other in the industry! Every year, thousands of poolplayers, fans, and dealers visit the Super Billiards Expo to browse through and shop with the companies that drive our sport. Collectors visit the show to find the latest offerings in rare and high-end custom cues from the American Cuemakers Association (ACA) and the International Cuemakers Association (ICA). Home gameroom enthusiasts will be searching to find artwork, accessories, and more. Beginners will be looking to find affordable first cues... You'll see some of the pros as they mingle through the crowds to hang out with their sponsors, or just visit friends. Whatever niche your product may fill, the Super Billiards Expo is the place for you to be. Whether you want to launch a new product, drive sales for your business, or enhance your brand identity - the Super Billiards Expo is the place to do it. Scroll down for more details or get started below. Please use this option to reserve your booth and pay in full. Choose the appropriate amount of booths you are reserving in order to determine your total due. Booth Reservation - Full Payment Please use this option to reserve your booth and pay in full. Choose the appropriate amount of booths you are reserving in order to determine your total due. Use this option to pay your deposit prior to June 1, 2018. Choose the appropriate amount of booths you'd like to reserve in order to determine your total balance due. Your balance will be due March 1, 2019. * Booths #900 and above can be converted into a 10x15 space for an additional $500. If you are interested in this, contact us to make arrangements. *Booths #900 & Above can be converted into a 10x15 space for an additional $500. Please call (910)616-5665 for details. One (1) 10'x10' booth area, 8' curtain backdrop, 3' side rail, one (1) 7"x44" identification sign, one (1) 8' skirted table, two (2) folding chairs, one (1) wastebasket, one (1) 9'x10' standard carpet. Electric and phone services are available at an additional charge. This will be covered in your Exhibitor Registration package which you will receive in the mail after reserving your booth(s). 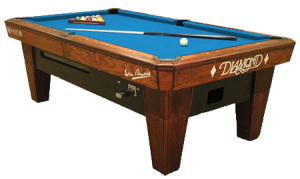 WANT A POOL TABLE IN YOUR BOOTH? Click on the map to download a PDF and see current booth availability and the general layout. We will do our best to get you the booth(s) you select. The online maps and listings are not updated in real time, so sometimes the booth(s) you choose may not be available. In this case, we will use your 2nd or 3rd choice options. We will send you a confirmation notice to let you know exactly which booth(s) you received. We may call you to discuss your options. 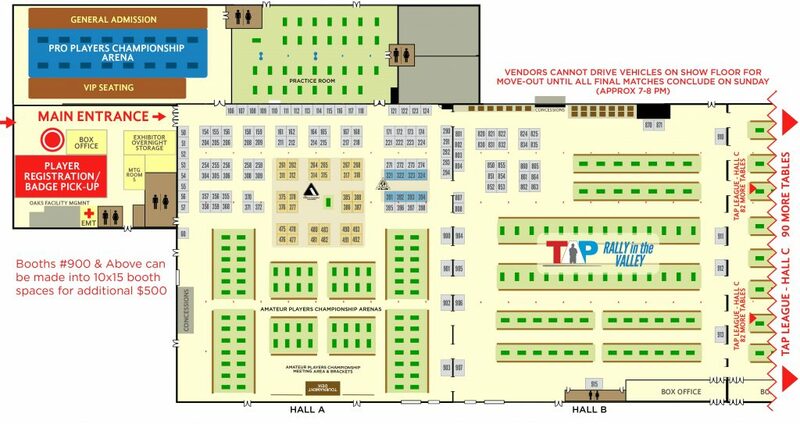 Allen Hopkins Productions reserves the right to alter and/or allocate booth selections to preserve and/or improve the integrity of the Expo floor layout. Exhibitor shall be bound by the rules and regulations set forth herein and by such amendments or additional rules and regulations, which may be established by the show producer, Allen Hopkins Productions, Inc. All terms and conditions of this agreement shall be binding upon the parties, their heirs, representatives or assigns and cannot be varied or waived by any oral representation or promise of any agent or other person of the parties here to unless the same be in writing and mutually signed by duly authorized agents or agents of the parties who executed this agreement. The site of the show is at the Greater Philadelphia Expo Center at Oaks. Exhibitor has applied for, and subject to its rental agreement with the Greater Philadelphia Expo Center at Oaks, Allen Hopkins Productions, Inc. does hereby rent the Exhibitor the exclusive permit to use the booth or booths listed in this Agreement for the display of products and services, deemed appropriate for the show by Allen Hopkins Productions, Inc., and for no other purpose during the show. In addition, Allen Hopkins Productions, Inc. does permit the Exhibitor the nonexclusive use, in common with other exhibitors, of aisles and access ways but only during the move-in and move-out periods specified in this agreement. Exhibitor agrees to comply with all rules and regulations of the Greater Philadelphia Expo Center at Oaks. Violations of this agreement shall result in the cancellation of this permit, the forfeiture of any advance or booth rental fee made by Exhibitor and the removal of Exhibitor and its exhibit from the Convention Center. Exhibitor agrees not to sublease any or all of Agreement confers no real property interest in fee, the booth space rented by this Agreement. This lease or otherwise, and any attempted "subleasing" of booth space is absolutely null and void and shall constitute a material breech of this Agreement, for which advances and fees paid shall constitute liquidated monetary damages, and shall result in the cancellation of the permit granted herein. Admission to Show shall be by badge only, and Identification badges shall not be transferable. EXHIBIT BOOTH RENTAL FEE. The exhibit booth rental fee shall be paid in two equal installments. The first 50% payment must accompany this Application/Agreement and the second 50% payment must be no later than 60 days prior to the first show date. Failure to make timely payments pursuant to this paragraph shall be material breach of this Agreement and shall effect cancellation of the permit granted herein. Upon such breach, Exhibitor shall forfeit its advance and exhibit fee and all rights related to the permit granted herein, and Allen Hopkins Productions, Inc. reserves the right to allocate such forfeited space to other Exhibitors. These remedies are in addition to any other contract or legal rights and remedies, which may be available. Equipment provided by Allen Hopkins Productions, In. as part of each 10'x10' space includes exhibitor identification sign, carpeted booth space, 8' high backdrop, 3' high side rail, one 6' skirted table, two folding chairs, and one wastebasket. Furniture and other services are available at additional cost from the official Show decorator. WITHDRAWAL. Allen Hopkins Productions, Inc. shall withhold $300 per booth, as a service charge, for any written cancellation of confirmed booth space received at least 90 days prior to the first show date. The entire Exhibitor deposit shall be retained if written cancellation is received less than 90 but more than 60 days prior to the first show day. All payments made will be retained if written cancellation is received less than 60 days prior to the first show day. during the official move-out hours stated in this Agreement. In no event shall the Exhibitor allow its display or materials to remain in the Convention Center beyond the specified time on the final move-out day. At the expiration of the permit herein granted, at the designated time on the final move-out day, Exhibitor shall quit the premises of the Convention Center and return to Allen Hopkins Productions, In. all equipment and facilities procured from Allen Hopkins Productions, Inc., which premises, equipment, and facilities shall be in as good condition and repair as before Exhibitors use thereof, wear from ordinary use being accepted. In the event Exhibitor fails to quit the premises with all Exhibitors materials and property by the designated time on the final move-out day, then Allen Hopkins Productions, inc. or the Convention Center may remove same without having any liability to Exhibitor, who shall nonetheless remain liable to Allen Hopkins Productions, Inc. for any and all costs incurred in moving out, shipping and storing said property. BOOTH REGULATIONS. Exhibitor shall not display any products, promotional materials, or advertisements relating to products or services other than those manufactured, marketed, provided, or sold by the Exhibitor. No bolts, screws, hooks, or nails shall be driven into or otherwise attached to the walls or floor of the Convention Center. In addition, no decals or other adhesive display material shall be applied or affixed to the walls or floor of the Convention Center. All exhibits shall be freestanding. Exhibitor shall convene activities to the booth space granted pursuant to this Agreement. In addition, no Exhibitor or any person acting by or for an exhibitor shall permit an exhibit, the products displayed therein, signs, displays, promotional materials, or advertisements, to obstruct the view of aisles. Exhibitor can sell all or part of exhibit, including products, with removal only after the show closes on final day. INSURANCE. Should Exhibitor wish to insure its display materials or elements thereof, including merchandise, Exhibitor shall secure such coverage at its own expense. Exhibitor shall not do or permit to be done anything in or upon any portion of the Convention Center, or bring or keep anything thereon which will in any way conflict with the conditions of any insurance policy held by Allen Hopkins Productions, Inc. or the conditions of any insurance policy upon the Convention Center or any part thereof, or in any way increase any rate of insurance upon the building or any property kept there. INDEMNITY. Exhibitor agrees to conduct its activities within the Convention Center so as not to endanger any person lawfully thereon or property therein and to indemnify and save harmless Allen Hopkins Productions, Inc., the city, Convention Center site, their elected officials, directors, officers, agents, or employees and servants against any and all claims, costs and expenses, including legal fees, demands, payments, actions, judgments, and liabilities of every kind and character whatsoever arising out of the activities of the Exhibitor, its agents, patrons, or guests in the Convention Center. If the Convention Center, or any portion thereof shall be damaged through the terms of this Agreement by the act, default, or negligence of the Exhibitor, its agents, patrons, or guests or any person admitted to the Convention Center by the Exhibitor, Exhibitor shall pay to Allen Hopkins Productions, Inc. or the Convention Center, or both, upon demand, such sums as may in total, be necessary to restore the Convention Center to its present condition. Exhibitor hereby assumes full responsibility for the acts and conduct of all persons acting or for the Exhibitor. or injury that may occur to Exhibitor or Exhibitor's agents, servants, employees, or property from any cause whatsoever, except that resulting from the gross negligence of Allen Hopkins Productions, Inc., its agents, employees, or servants, during the period covered by the permit granted herein, and Exhibitor hereby expressly releases Allen Hopkins Productions, Inc., its directors, officers, agents, employees, and servants from, and agrees to indemnify such persons against any and all claims, costs and expenses, including legal fees, demands, payments, actions, judgments, and liabilities of every kind and character whatsoever for any such loss, damage, or injury. SECURITY. Allen Hopkins Productions, Inc. shall provide 24-hour guard service for the surveillance of the exhibit hall only. Individual booth security, where desired, is the responsibility of, and must be obtained by the Exhibitor. No responsibility is assumed by Allen Hopkins Productions, Inc. or the Convention Center for goods delivered to the Convention Center or for materials, displays, or products left in the premises after closing hours, and Exhibitor hereby expressly releases Allen Hopkins Productions, Inc. and the Convention Center, their directors, officers, agents, employees, and servants from liability for damages to and loss of such items. DISRUPTION OF SHOW. In the event the Convention Center or any part thereof shall be destroyed or damaged by fire or any other cause of if any casualty or any unforeseen occurrence, including but not limited to Acts of God or Government, strikes or civil riot, shall render the fulfillment of this Agreement by Allen Hopkins Productions, Inc. impractical or impossible, then and thereupon this Agreement and the permit therein granted shall terminate and Exhibitor shall receive a rebate of exhibit fees for that portion of the permit remaining after this Agreement shall have been terminated less Exhibitor's proportionate share of expenses incurred by Allen Hopkins Productions, Inc. for the promotion and production of the Show, and Exhibitor hereby waives any other claim for damages or compensation for such termination. ASSIGNMENT. Assignment of this Agreement or any of the rights arising hereunder is hereby expressly prohibited except where this Agreement is assigned in connection with the sale or other transfer of the assignor's trade or business to the assignee, but such an assignee shall not display products or materials relating to products or services other than those manufactured, marketed, provided, or sold by the assignor. Any assignment in violation of this section constitutes a cancellation of this contract and a forfeiture of any advance of fee paid by Exhibitor. ADVERTISING AND PROMOTIONAL MATERIALS. Exhibitor shall not, without the consent of Allen Hopkins Productions, Inc., distribute or permit to be distributed any advertising matter or program, including, but not limited to handouts, literature, souvenir items, and any and all promotional materials in or about the Convention Center, including the parking lot, outside of the Exhibitor's allotted display space. Exhibitor shall not post any sign or poster of any description except where authorized by the Convention Center and Allen Hopkins Productions, Inc. HOLD HARMLESS. Exhibitor hereby expressly waives any right and all claims, action, and demand for damages, cost and expenses, including legal fees, resulting from any or all acts committed by the Exhibitor in violation of this Agreement. EXHIBITOR TAXES. Exhibitor shall be liable for any and all taxes pertaining to the sale of Exhibitors merchandise during the Show. Exhibitor is responsible for acquiring any permits, licenses, etc, required by law. There will be a block of hotel rooms at the Hilton Garden Inn (less than 1 mile away, located on-site) for exhibitors only. For every booth that you reserve, one (1) room will be held for you. You will have to make, and pay for, your own reservation AFTER you receive your Exhibitor Confirmation Package, using our room reservation form (this is how the hotel knows you are an approved vendor). Exhibitor Confirmation Packages are mailed out in early January. ALL HOTEL ROOMS MUST BE RESERVED BY DATE TBA. After that date, we cannot guarantee any rooms in the host hotel, and you may have to find accommodations elsewhere.